Andi Eigenmann as Maria Mercedes - Its the first teleserye in Filipino version only on ABS CBN. Maria Mercedes was a telenovela from Mexico characterized by Mexican actress Thalia. After giving birth to Andi Eigenmann's baby, accepting the project as she topbills Maria Mercedes portray. 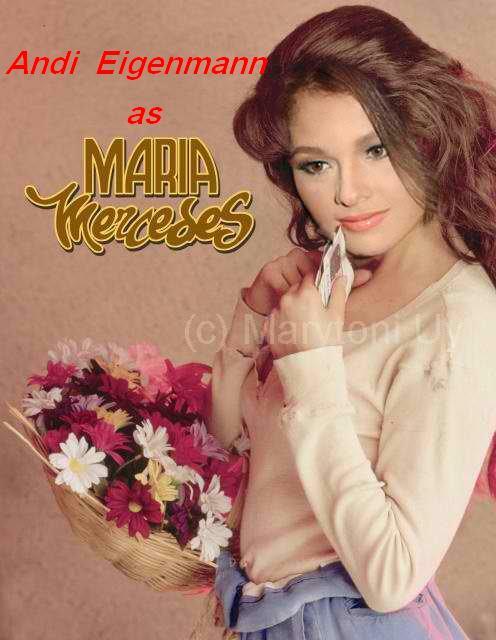 We will going to witness and watch the Andi Eigenmann's comeback in making a television remake of Maria Mercedes. Tagalog version of Maria Mercedes will be aired only on the kapamilya network that will be for Andi Eigenmann's role. Also there will be the young actor on the series, Martin del Rosario, portrays the character of Jorge Luis del Olmo. TV remake will start taping on the 2nd quarter of this year 2012 according to the rumors.